Coffee Rich® is proud to partner with The Heart Truth®, bearing the Red Dress logo on its packaging. The Heart Truth® is a national awareness campaign for women about heart disease and is sponsored by the National Heart, Lung, and Blood Institute (NHLBI). It is dedicated to informing women about heart disease and encouraging them to take steps to reduce their risk. The campaign's goal is to help women develop a pressing and personal awareness about the danger of heart disease. 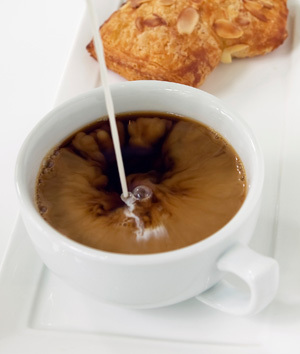 As a popular alternative to traditional creamer, Coffee Rich has a great nutritional profile. All its products are free of cholesterol and milk fat, low in sodium and certified Kosher Pareve. For more information about The Heart Truth®, please visit www.hearttruth.gov. Participation by Rich Products does not imply endorsement by HHS/NIH/NHLBI. ® The Heart Truth, its logo, and The Red Dress are registered trademarks of HHS.